What fun! 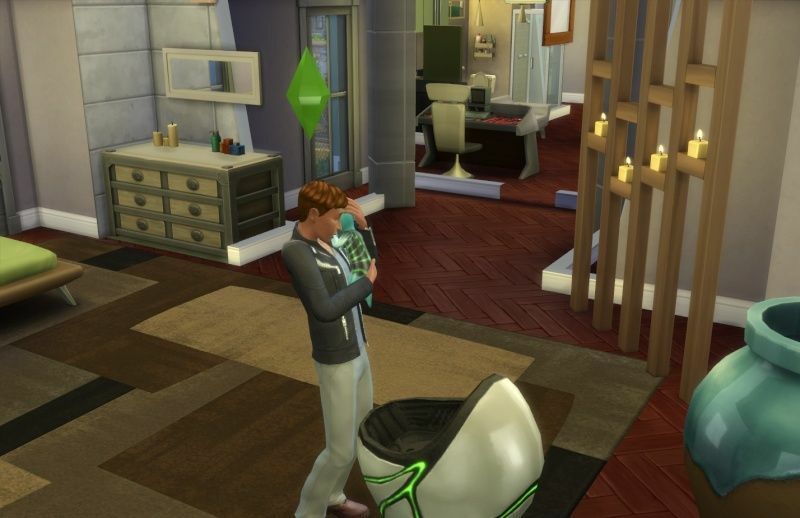 I love all the captures and the fact that you saved the household and lot. The story continues with me playing in short bursts. 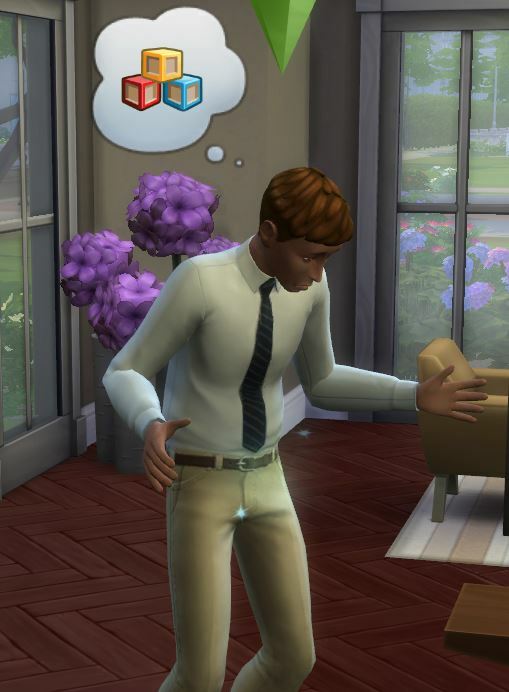 Kaplan has become a Teen with the Self Assured and Romantic Traits. Why do Teens always seem to look a bit perturbed on their birthday? 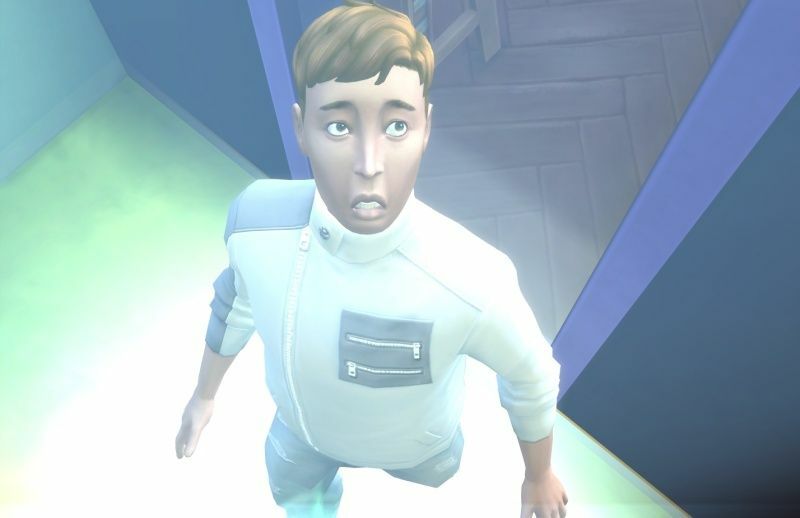 Kaplan's father Chase took an unplanned 'trip' one dark night. 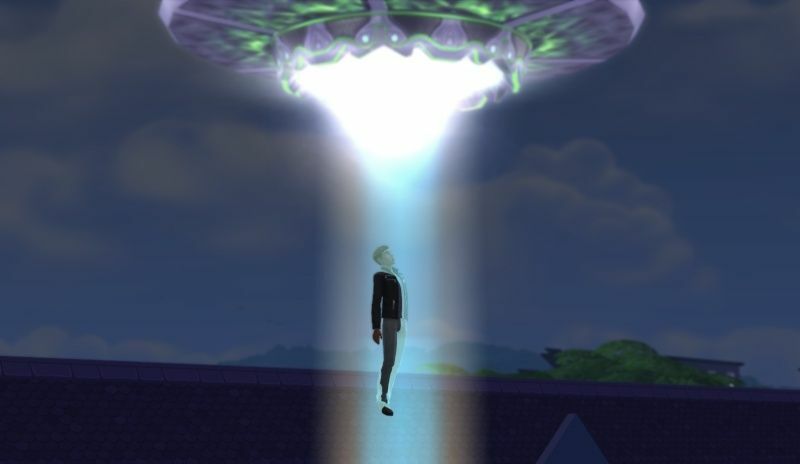 At first things seemed quite normal upon his return. Until it was time for the transition to Adult for both Chase and his wife Gretchen. The cake was baked and the candles lit. 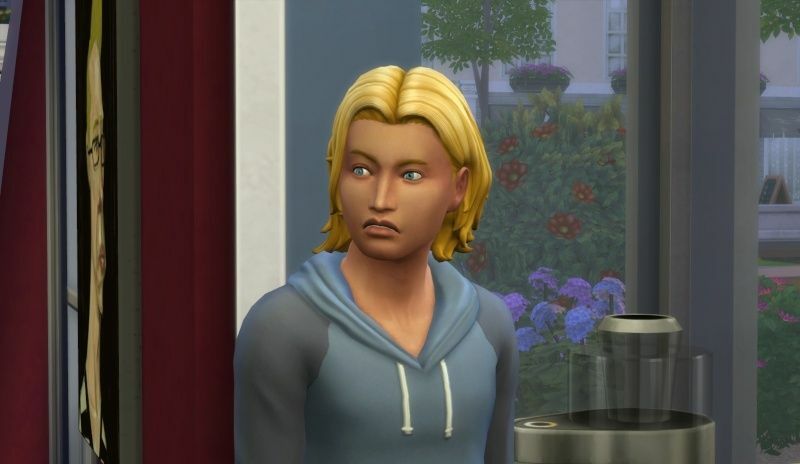 But for some reason Chase did not have the option to age up (?). Gretchen celebrated her birthday. I was trying to puzzle out why Chase could not age up even with a full age bar. 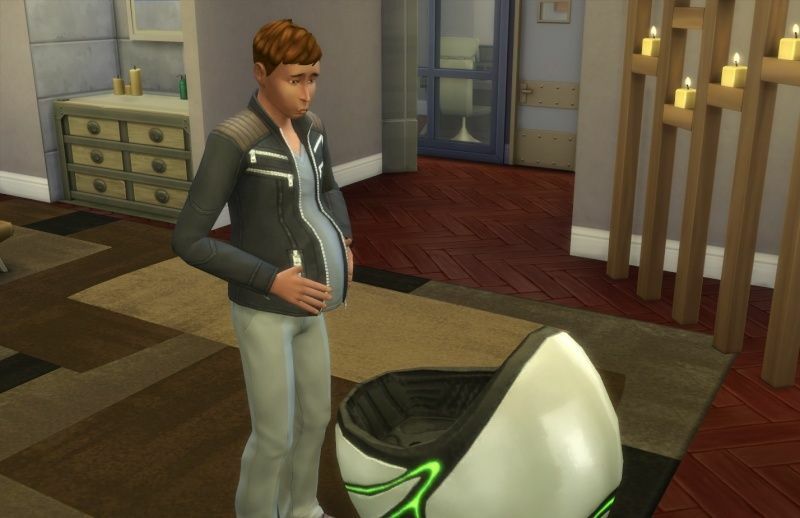 Then it struck me ... pregnant Sims cannot age up. The poochy tummy and weird weight gain were not from lack of exercise. In deed they were the result of his stellar visit. Venus soon matured into a child and became fast friends with her father. 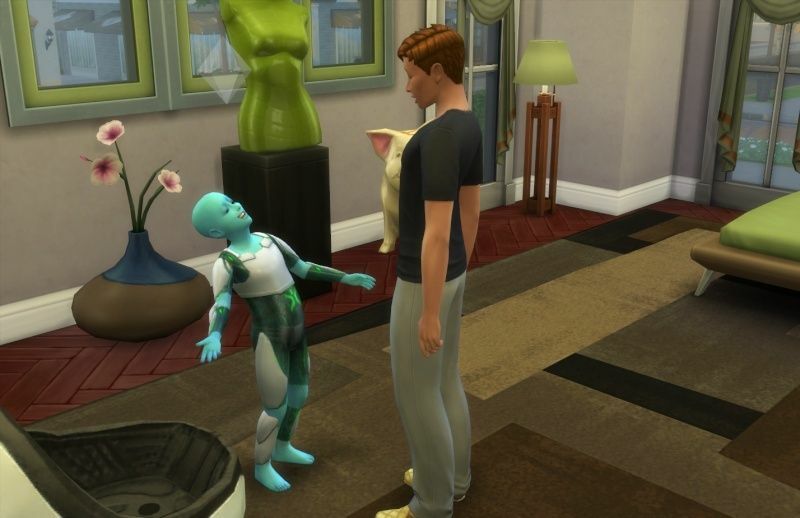 Wow....an alien baby! I mean Child Such fun! 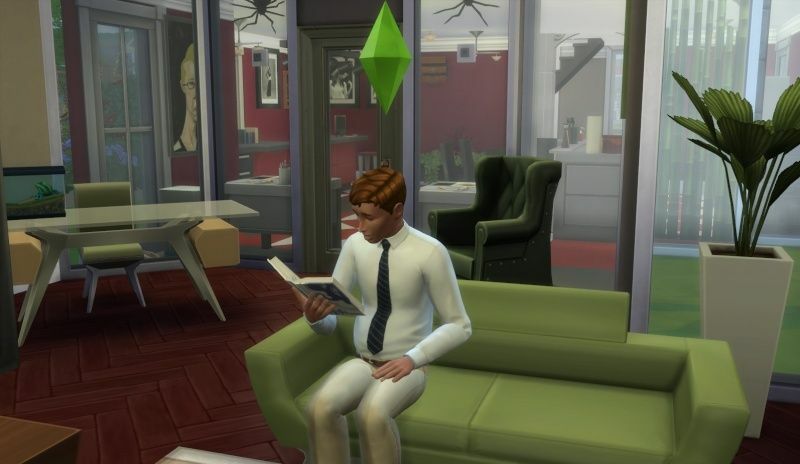 I am glad your continuing on with this story. So scary about the crib, glad it work out. You're so smart. I never would have thought to have the household travel and come home. What a great turn of events. And Gretchen DeTower Tivona shows off her Career outfit. Gretchen's work outfit....not so much! Venus is very pretty! Gretchen is very funny! Uh oh ... here we go again! I'm loving these tales, and I LOVE your founder! 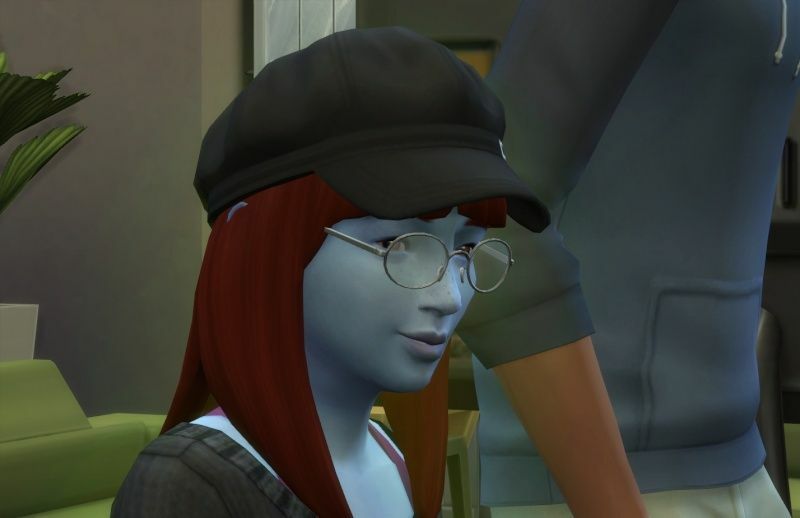 Will definitely need to download her to my library! 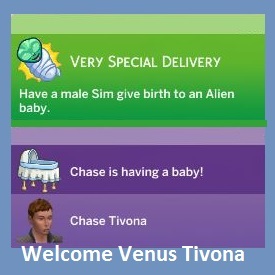 Returned home from traveling with Venus and found THIS..... almost Fainted! 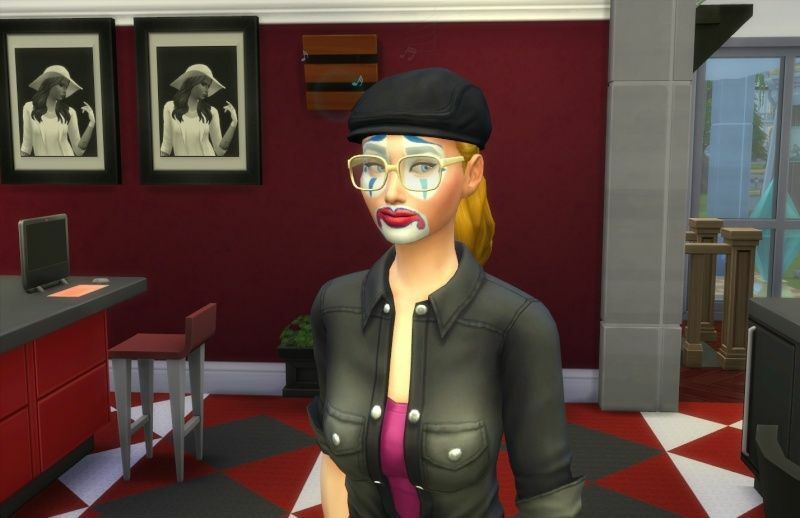 This is my Founder Valeda. The whole Highlander Crest Legacy would have ended right there. Oh my goodness! I hope you can save her. Luckily the Cow plant spit her out. I did not even see it happen. That was close! 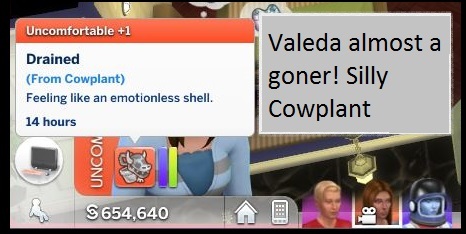 Glad Valeda survived being "tasted" by her garden pet. "Tasted by her garden pet" too funny BG. Congratulations Valeda. Kaplan's a daddy now I see. 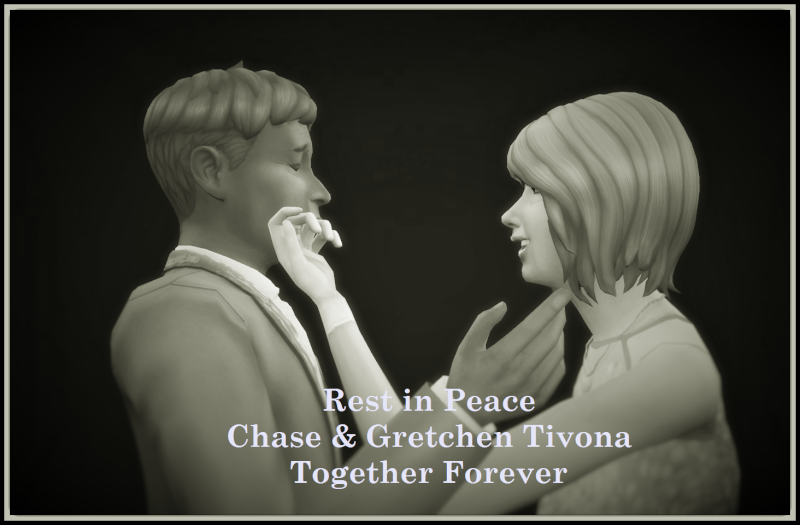 RIP Chase and Gretchen. Kaplan and Larabee Borden are in a Romantic Relationship. Larabee is a @Buttonsginger creation. 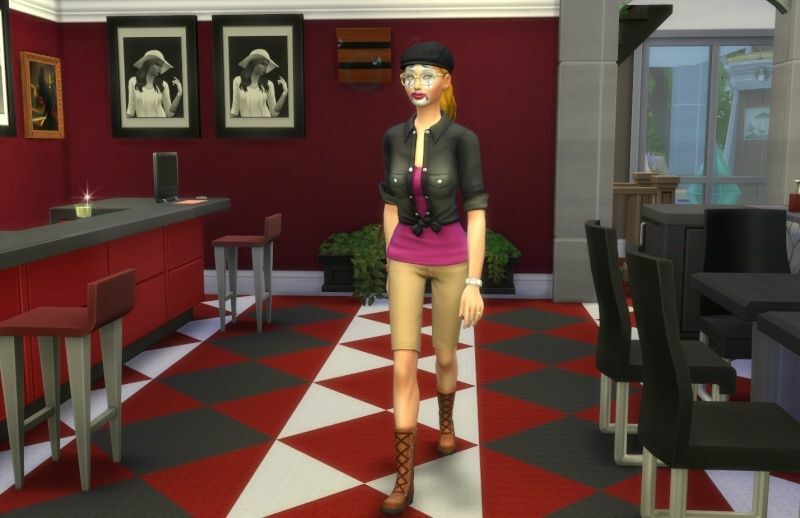 The Borden Household is available in the Gallery. 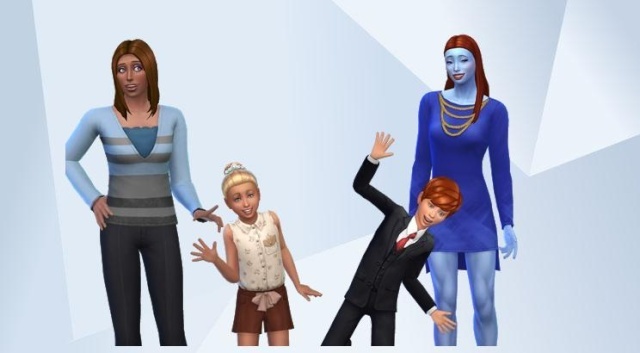 Kaplan and his (Alien) Sister Venus are generation three. 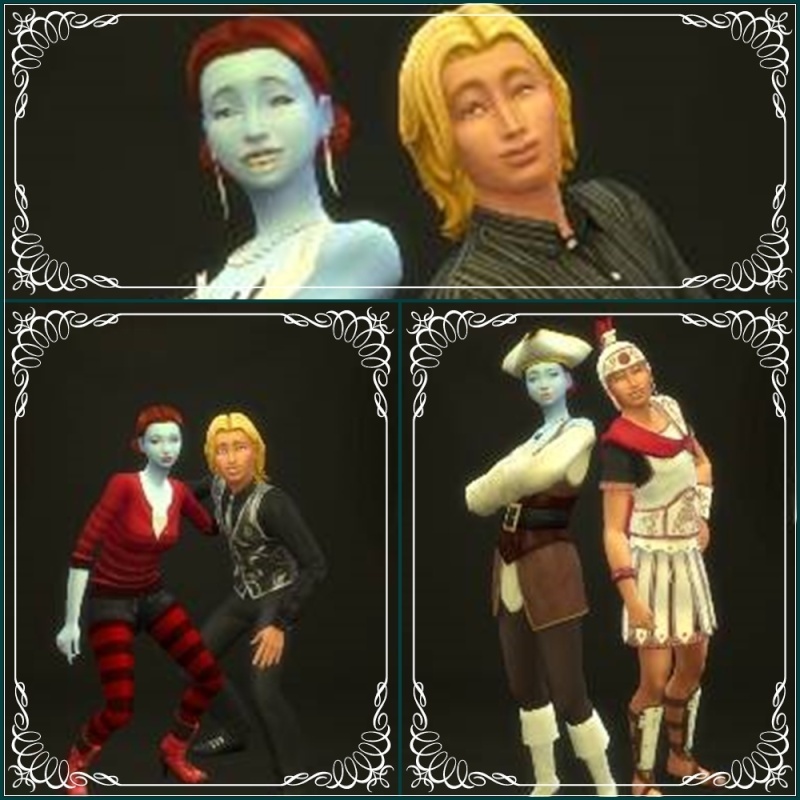 The Twins are generation four of the Tivona Clan. 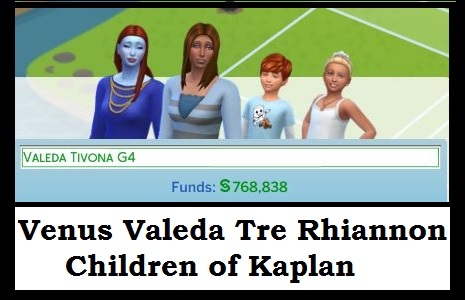 Kaplan's Twins - Tre & Rhiannon have joined the Tivona household. 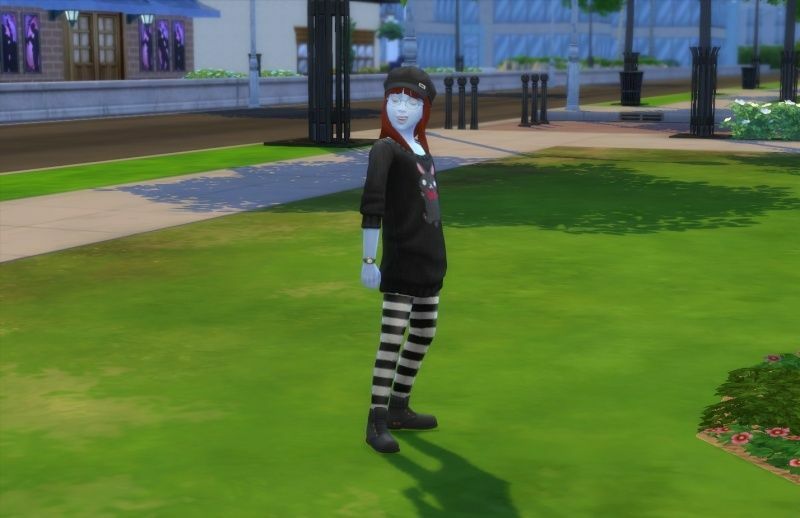 Rhiannon > Rambunctious Scamp Aspiration & Cheerful Trait. Funny thing ... she was already wearing the crown.